Do te think, that Kelsi and Ryan got to be a couple in HSM3? la scelta dei fan: Yes! Definietly! Does Vanessa o Gabriella look più pretty? la scelta dei fan: Gabriella? if te could be any character who would it be? What do te like most about Troy Bolton and Kelsi Nielsen? a poll è stato aggiunto: What is Jason’s pallacanestro, basket number? 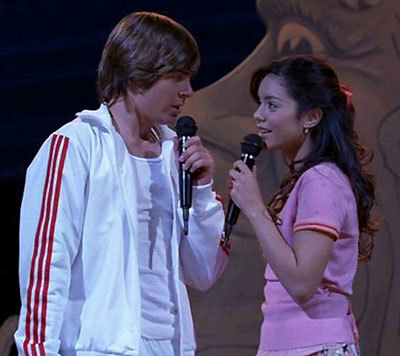 What was the first statment Gabriella speak to Troy? EVITA- Difficulty of playing Pianoforte score.